Polypak Packaging can produce custom mail order pharmacy bags to fit your exact requirements and needs. Pharmacy bags are designed for strength and security for you and your customers' protection. 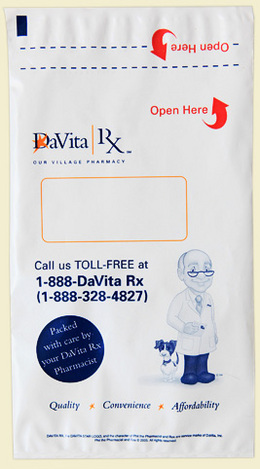 We offer custom printed pharmacy bags or envelopes in up to eight colors as well as process print. Plastic envelopes can be made with up to 100% post-consumer recycled product.